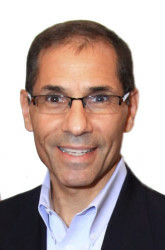 John Formica, an “Ex-Disney Guy”, is a nationally-known professional speaker, author and “America’s Best and Favorite Customer Experience Coach”. As a former “Disney Insider” and hotel leader with the Walt Disney World Resort, John has over 25 years of leadership experience working with numerous top customer service industry leaders including the Disney Institute. John shares his incredible experiences and success strategies to help any business or organization create a “Magical Customer Experience” and Service Culture. Audiences will be elevated and empowered to reach “Magical” results. Making the Customer Experience Magical Now!